In order to remove damp stains on walls, it’s not necessary to resort to harmful chemicals. You can remove them with natural, less aggressive products. This doesn’t just create a sense of harmony but also helps fight against allergies and respiratory problems. 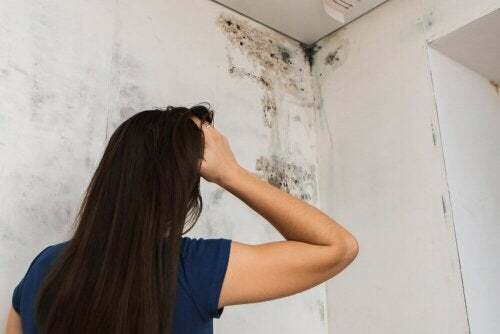 However, sometimes this can be quite difficult, given that places such as walls and ceilings tend to be damp from the excessive growth of mildew. This type of fungus can belong to the Cladosporium, Penicillium, or Alternaria species. Unfortunately, their presence tends to leave visible dark spots that are hard to remove. Although at first it just seems unsightly, with the passage of time it can even become a health problem. As a result, we’ve proposed a few homemade solutions to deal with damp without using harsh chemicals. Table salt is one of your best friends for removing mildew stains since it absorbs moisture easily and creates a protective barrier against the growth of these microorganisms. 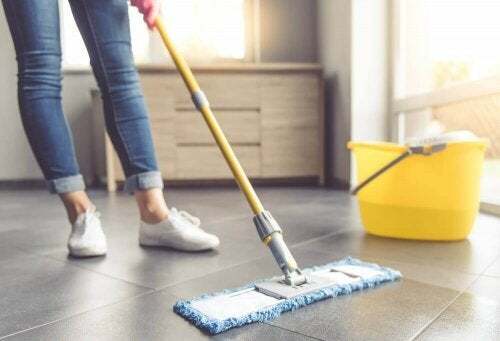 For many years it has been used in household cleaning tasks, not only because it serves to disinfect, but also because it can help get rid of stubborn stains. 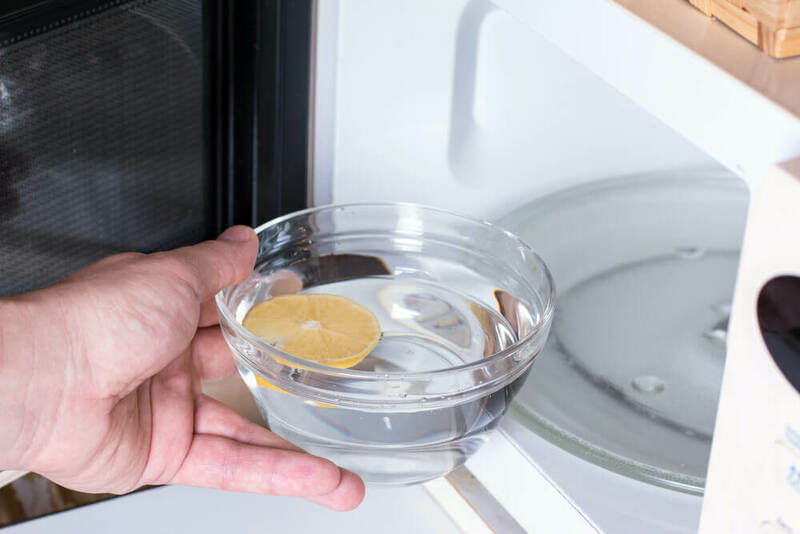 Pour a pound or two of salt into a wide-mouthed container and place it right in the center of any damp areas or rooms in your home. This will absorb moisture from the air and prevent the reappearance of fungi. Change the salt when you notice its color getting darker. It is an indicator that it cannot absorb more moisture. Mustard flour has anti-fungal and disinfectant properties that help eliminate fungi that stain walls and ceilings. Similarly to salt, its presence in damp rooms helps deal with this problem. Put a generous amount of mustard flour in a bowl and leave it near the areas where mildew is found. Change it once a week for the best results. Known as one of the best ecological cleaning agents, white vinegar is an excellent product to remove stains, fung, and unpleasant smells. Its anti-fungal and antibacterial properties act directly on the microorganisms that cause moisture and leave a clean and healthy environment. Thus, you can remove these damp stains on walls. Mix together equal parts of white vinegar and water and pour the mixture into a spray bottle. Then spray the product on the walls and ceilings, and leave it to act for 20 minutes. After 20 minutes, remove the stains with a sponge or a damp cloth. Tea Tree Oil has earned fame around the world for being a healthy option for cleaning the home and protecting the body. 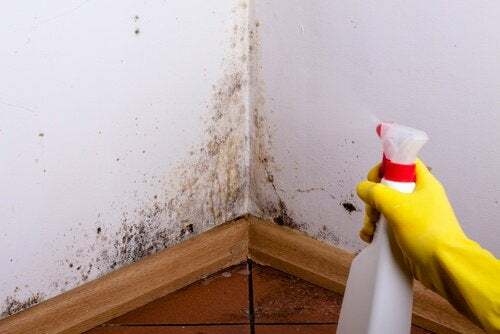 It has antibiotic and anti-fungal properties which are highly effective in the removal of mold caused by damp patches. Add a teaspoon of tea tree oil to half a liter of lukewarm water, pour it into a jar, and shake it. Spray the amount you feel is necessary, leave to act for 15 minutes, and then rub the surface with a brush or a cloth. Although its main applications have to do with the skin, hydrogen peroxide is a good choice for whitewashing walls and killing fungi. Although some recommend diluting it in water, ideally it’s best to leave it pure to remove moisture more easily. 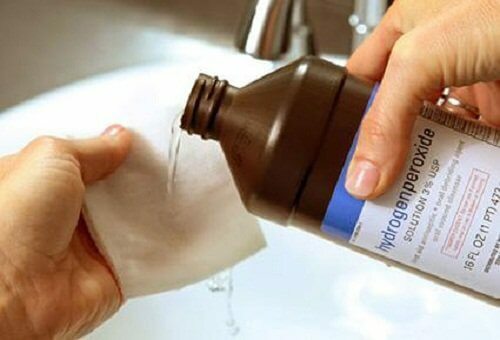 Pour some hydrogen peroxide (3%) into a spray bottle and spray it on the desired surfaces. Leave it to act for 15 minutes, and then remove it with a brush or sponge. Baking soda is an antibacterial abrasive which is good for cleaning many surfaces of the home. Applying it to damp areas helps to absorb the moisture and, in turn, it acts directly on the fungi. It also has bleaching properties and deodorizers that remove dark stains and odors. Moisten a bit of baking soda with water or lemon juice, and then spread it over the damp patches. After 20 or 30 minutes, rinse and rub with a brush. For the best results, try to open windows and doors every day, since ventilation of the home is the key to removing moisture. Did you enjoy this article on how to remove damp stains on walls?